If you're looking for an interesting educational read this summer, pick up The World in the Curl: An Unconventional History of Surfing. 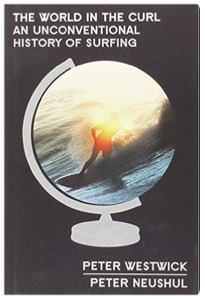 Written by two professors at UC Santa Barbara, Peter Westwick and Peter Neushul, the World in the Curl takes a fascinating look at surfing through the lenses of anthropology, geology, culture, race, gender, and class. You'll gain a much deeper understanding of surfing from a fresh perspective. I really enjoyed it and think you will too!